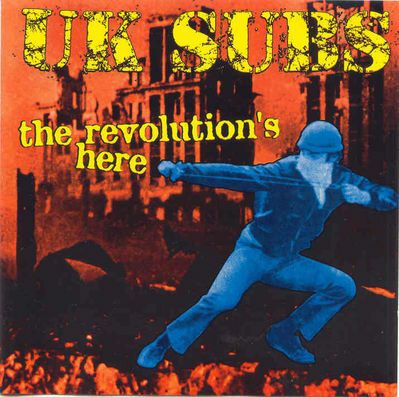 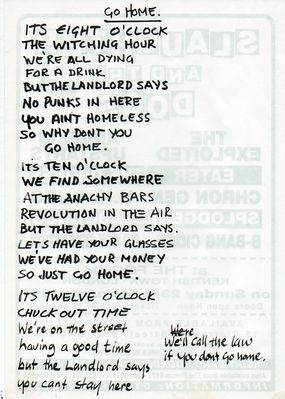 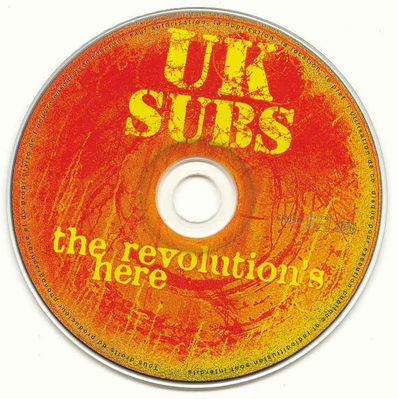 "You fucked us over in the year 2000"
Above: The Revolution's Here UK CD release, 2000, front and back covers. 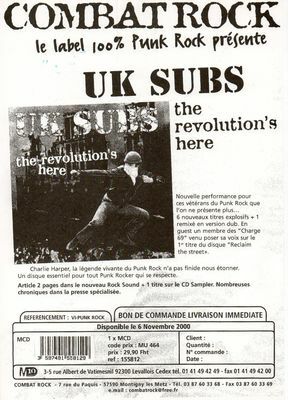 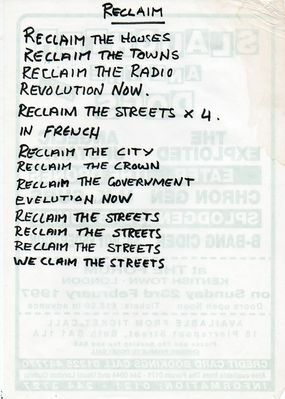 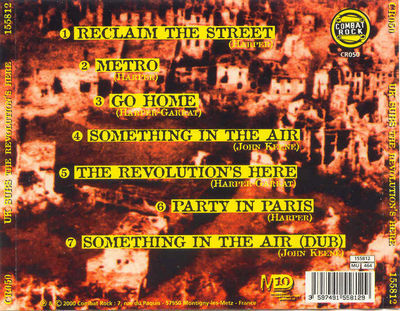 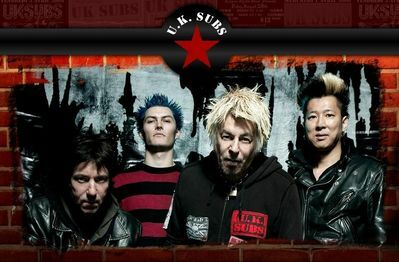 CD release of The Revolution's Here with additional tracks; a re-recording of the bands 1980 single Party in Paris plus a dub version of Thunderclap Newman's Something In The Air. 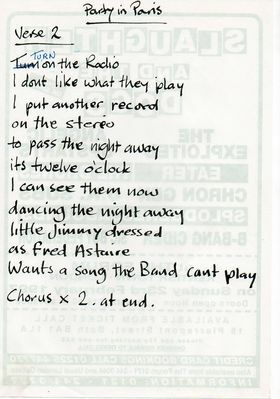 During the recording session Charlie told me that he would like some "french speaking language" in the chorus so , after reading Sir Harper's lyrics, I wrote quicly "Allez descendez tous dans la rue" ... which means ; "All of you go down the street and get back what has been taken away from you"... and with Gilles (Charge 69 singer at the time) we sang that in Mandala studio ... We also did the backing vocals on "Metro" ...What memories..."
Above: Caps from Combat Rock & Gilles from Charge 69 do their backing vocals. 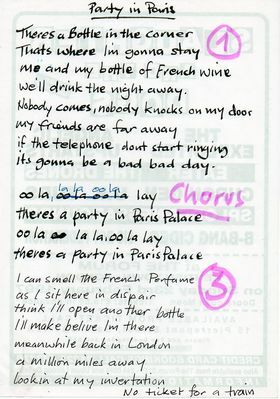 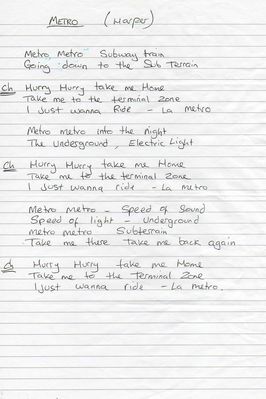 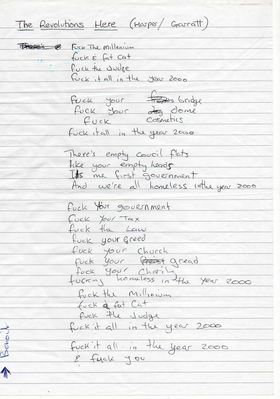 Below: Charlie's hand written lyrics.